A dental cap is another term for a dental crown. Both terms refer to a helpful and standard procedure that is useful at strengthening a tooth that has been compromised by both decay, tooth wear or injury. The reason they are referred to as caps is that they are placed over the top of existing teeth to provide a cover like a helmet. Dental caps are made from a wide range of materials, including ceramic, porcelain, metal, or a combination of them. The best thing about crowns is that they can be made completely invisible, which is why they are also used for cosmetic treatments such as cracked, misshapen and even missing teeth when used in an implant procedure. Cusp capping with composite filling material may sometimes be suggested as a more cost-effective alternative to crowns. First Appointment: The first thing we do is remove any damaged or decayed tissue, before preparing the tooth for the crown. This involves cleaning and shaping the tooth, so it’s ready for the perfect fit. We then take an impression of your tooth and send it to the laboratory to make a crown. A temporary crown will be made for you at the end of the appointment so you never leave with a exposed tooth. Second Appointment: Once the crown is ready, we will organise a second appointment. We then remove the temporary crown and bond the crown onto your tooth, ensuring perfect fit and aesthetics. Once the crown has been fitted, it functions as a regular tooth. You can chew all the food you love, you just have to make sure you look after it. That means brushing and flossing daily, following a healthy diet that limits sugary and acidic foods while emphasising nutritious foods like fruits and vegetables. 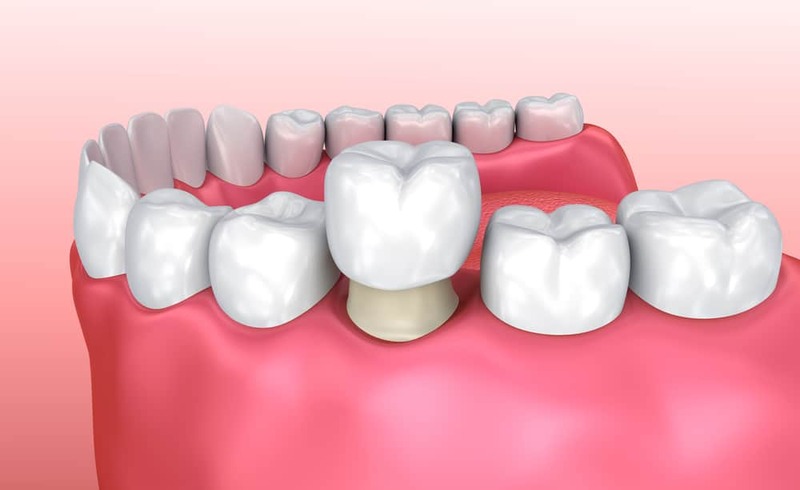 A dental cap is the best way to prevent cracks in teeth or to increase the strength of a previously heavily filled tooth or weakened tooth e.g. root canal treated tooth. Large cracks or fractures often lead to tooth extraction. Having a missing tooth isn’t just a cosmetic issue, it can lead to a whole host of problems with your mouth function. Add a cap now is preventative and can potentially save a lot of pain further down the track. Misshapen, misaligned, or chipped teeth can create an uncomfortable or problematic bite. They are also harder to clean. By adding a customised cap, you give your teeth uniformity which makes for a more comfortable bite as well as better ease to clean teeth.